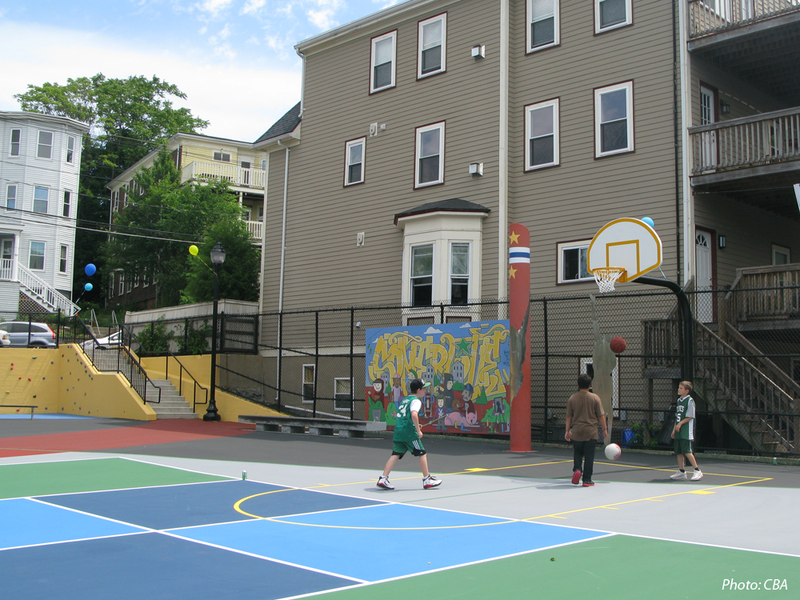 Located two blocks apart on sloping Craigie Street in Somerville, this pair of neighborhood parks was renovated as a combined project, with the goal of clarifying and expanding the two parks' programs to better meet the neighborhood's needs. 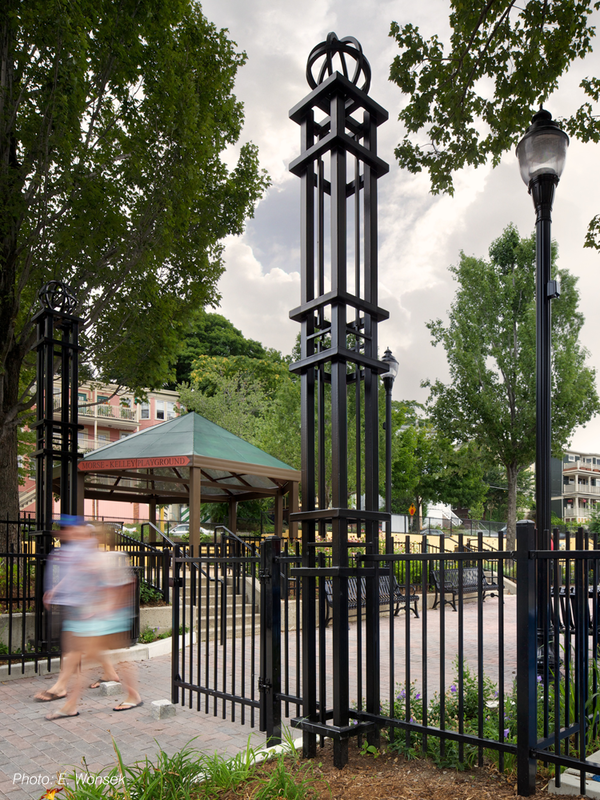 Formerly separated onto two levels, this park has been reconnected through our plan. 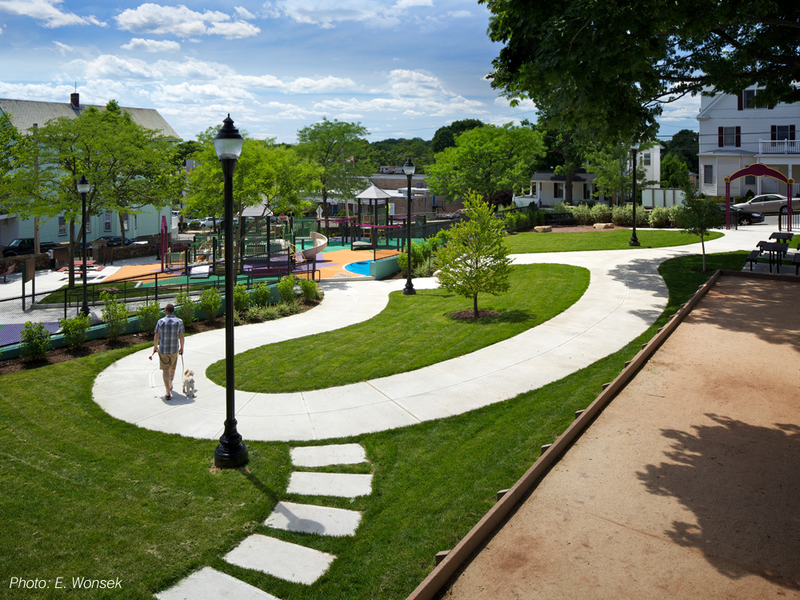 An accessible route now links the refurbished play area and seating on the lower half, with a revitalized upper level that replaced an unusable basketball court with open lawn, a bocce court, picnic tables, and a winding pathway. 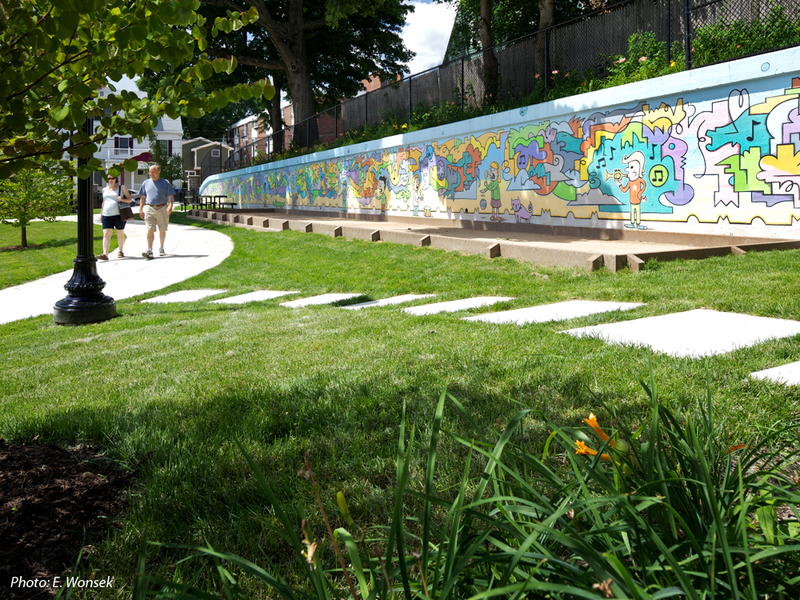 Inspired by a recent mural on the uppermost wall, CBA's design uses the same vibrant colors, echoes similar shapes, and draws out details such as a blue bear's face to form the basis of the spray area. 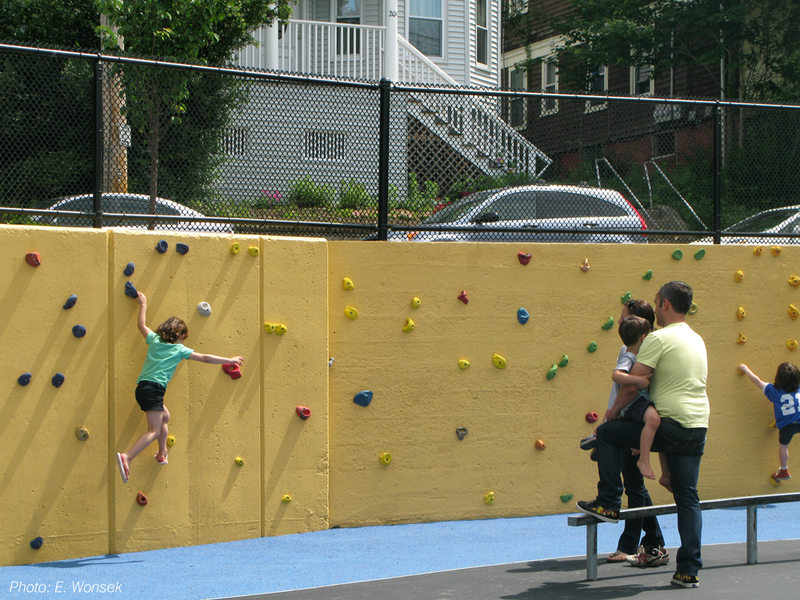 A true urban park for all ages, neighborhood input led this space to become the first public space in Somerville to include skateboarding as one of the featured activities. The skate elements are designed to fit into the overall design and to have alternate uses, such as seating and access. 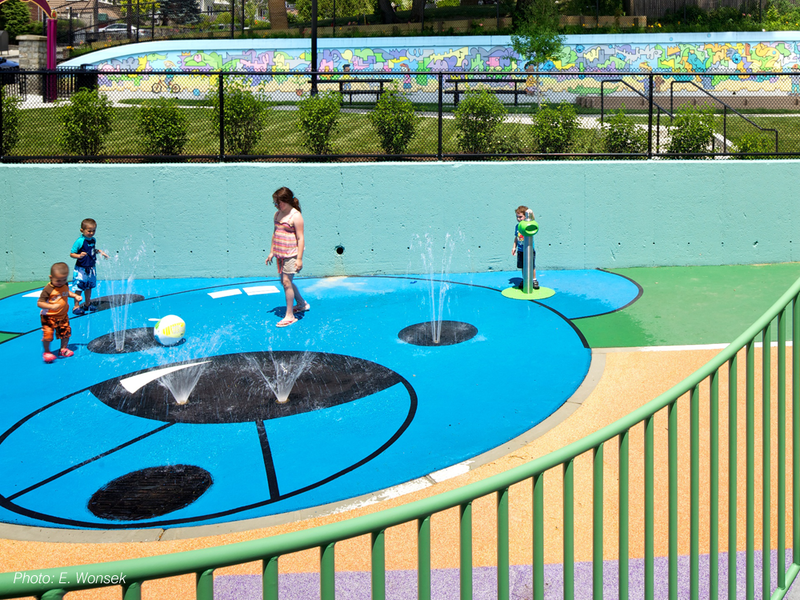 The park also features a four-sport court area, a vibrant tot lot, a new community garden, a rock climbing wall, extensive drought-tolerant plantings, a new entry plaza with monumental metal columns, and seating throughout the site.